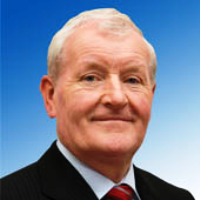 Dail Deputy urges campaigners to make submissions to Dail Committee. The issue has been raised in the Dail by Sligo TD Tony McLoughlin, but the bill he is piloting through there has been sidelined to an Oireachtas Joint Committee. Fine Gael. Urging public to make submissions in support of fracking bill. Support for the ban has been voiced by TDs aplenty, all or most of them indicating their unconditional support for the prohibition. Despite this, however, the issue has been thrown back to campaigners who are now being called on to make their opinions on fracking known to the Dail Committee on the Environment. This is in marked contrast to the position surrounding the bill for the legalisation of cannabis which apparently is being waved on virtually without deferment. Deputy McLoughlin certainly remains as determined as ever to have the bill carried. However, it is by no means sure that legislation outlawing the controversial hydraulic fracturing process will be enacted if an election is called – as seems possible – any time in the next few months. Where will that leave the bill, in particular with a new government in place? 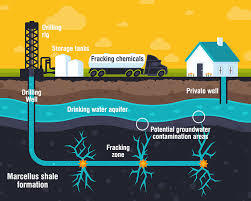 Currently, the Joint Committee is carrying out a “detailed” investigation of the process, which means the body is also thumbing through what the EU position is on fracking. These days, Ireland cannot pee unless the country’s masters in Brussels give the nod! Technical presentations and likely background lobbying by pro-fracking interests could also considerably delay the process. As it now looks, an intensive public push for speedier action by the Oireachtas may well be the kind of thing which will ensure the hoped for legislation does not end up as yet another casualty of the political system.